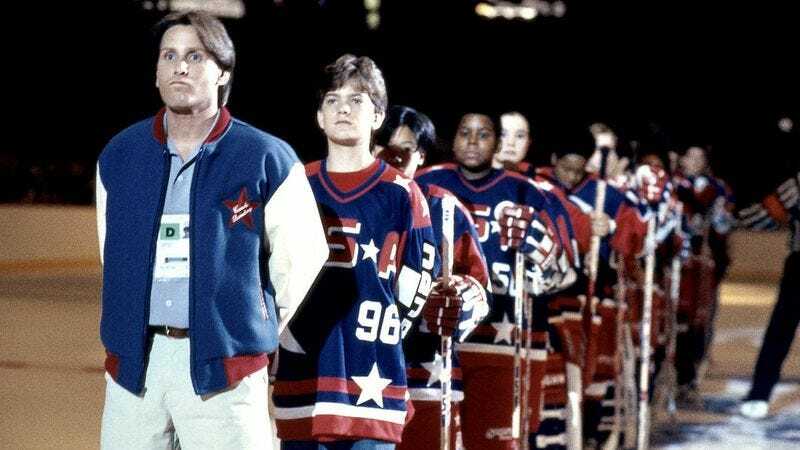 There is hope in the world, for both Joshua “Charlie Conway, Not Pacey Witter” Jackson and producer Jordan Kerner say they’d be down with making a new Mighty Ducks movie. The vague, sketchy statements of interest come courtesy of an oral history of the franchise in Time magazine, where Jackson says he feels “like a fourth film should happen,” adding that, “If there was space for any of the original kids that come back and have a role, I would be surprised that anybody didn’t want to do it.” That being said, Jackson also believes that “the next generation should have its own version”—even if that means that the new Mighty Ducks would be the story of the children of the original Ducks starting anew, a la Girl Meets World. Kerner says he’d also be down, even explaining how, years ago, he had a sketch worked out for a fourth movie that never came to pass. I wanted to license this dark adult play, That Championship Season. It was going to be the death of Gordon Bombay as an older man, and Marty [Sheen] was going to play him. And Goldberg would be played by like Jim Belushi. You know, we were literally going to pair up everybody with a present-day actor, but it was going to be not unlike Chariots Of Fire, the sort of look back at a moment in time when their coach came back to them and did something that changed their lives forever. So you cut from the present of the kids and they would have been all of 18 or 19, so they would have become the high school seniors… But it would be set against this thing going on in a bar or restaurant where all the present-day guys grown up talking about what this coach meant to them. And we’d see that played out against them as 18-year-olds on the ice and Emilio playing in that and his father playing in a series of scenes where he was dying and they had to say their goodbyes. So I was looking for a really literate and emotional way for all of them to come back together again as men and to say goodbye to the man who meant so much to them. But it wasn’t meant to be.